Among the virologists and public health experts who crafted the “emerging diseases worldview” in the 1990s, Ebola was the paradigm of an emerging disease. The Ebola virus had been discovered in 1976; it “emerged” from wildlife reservoirs in unpredictable, but dramatic and visceral outbreaks; there was no cure or vaccine. 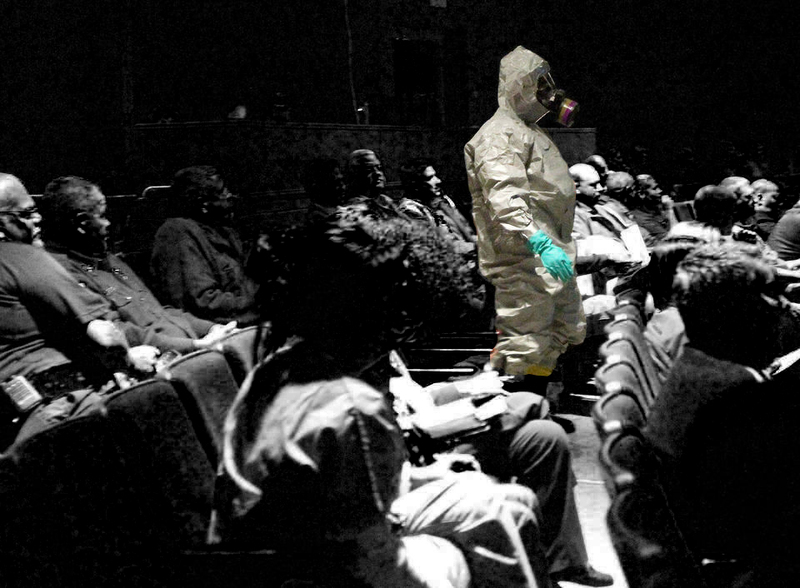 Moreover, the 1989 outbreak of an Ebolavirus variant at a primate quarantine facility in Reston, Virginia—the variant, called Reston virus, was airborne but could not infect humans—led directly to the formation of the influential Institute of Medicine (IOM) conference on Emerging Infections (IOM 1992; Morse 1990). 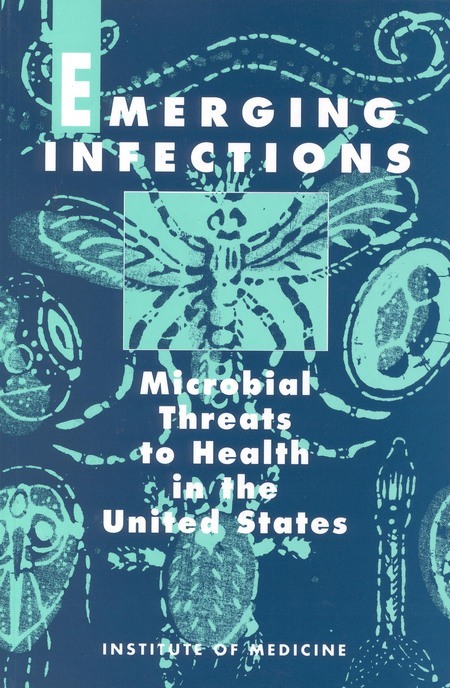 Institute of Medicine report on emerging infections, 1992. With Ebola in mind, the authors of the IOM report argued that the problem of disease emergence required a novel rationality of health: preparedness for unexpected epidemics rather than the prevention, management, or eradication of already prevalent infections. At the heart of their program were recently developed surveillance technologies built on advances in computing, communication, and microbiology. Through “early warning,” they suggested, new pathogens could be controlled before they spread to major population centers or threatened global pandemic (IOM 1992). The hypothesis of “disease emergence” helped give shape to the incipient field of global health, particularly at the World Health Organization (WHO), which restructured itself around surveillance and preparedness for emerging diseases (Brown et al. 2005; Lakoff 2010). The specter of catastrophe threatened, but the mood was confident. In a 2012 interview, a virologist with the “virus hunting” non-profit Metabiota captured the maxim of this worldview:“If we can detect it, we can stop it” (Knox 2012). The ongoing, devastating Ebola epidemic in West Africa has revealed, however, a troubling discrepancy between the relatively early detection of an emerging disease and the very late arrival of international public health response. By March 23, 2014, less than two weeks after a health clinic in Guéckédou reported “clusters of a mysterious disease characterized by fever, severe diarrhea, vomiting, and an apparent high fatality rate” to the Guinean Ministry of Health, the Ebola virus had been isolated in European laboratories and the WHO knew there was an Ebola outbreak in Guinea (Sun et al. 2014). Some might complain that those two weeks are too long, or blame the Guéckédou clinicians who were slow to identify and report the disease because they were not trained to anticipate Ebolavirus in their community. But these lapses in reporting and identification pale in comparison to the delays in international public health intervention as the epidemic grew in full public view. Incredibly, WHO did not declare the outbreak a “public health emergency of international concern” until August 8, more than four months after the organization was aware of the outbreak, and more than one month after Médecins San Frontières (MSF; Doctors Without Borders) declared the epidemic in Liberia was “out of control.” Even more disconcerting, the declaration itself had only moderate impact: as an MSF press report from December 2nd declared, the international response in Guinea remains “slow and piecemeal” (MSF 2014). In recent reflections, some scholars argue that the prioritization of surveillance and preparedness for emerging diseases left West Africa vulnerable to Ebola once it emerged. Gillaume Lachenal notes that health authorities had “prepared for” the emergence of Ebola intensively, and that “pandemic preparedness exercises siphon off a large part of African health authorities’ energies and resources, even as they are confronted with far more urgent health emergencies” (Lachenal 2014). Vinh-Kim Nguyen states that preparedness efforts “not only failed, they produced this Ebola epidemic” (Nguyen 2014). Such accounts suggest that technologies of preparedness come at inherent costs to public health. They join public health scholars and practitioners who have previously criticized surveillance and simulation for little-known, impossible-to-predict microbes, arguing that preparedness initiatives divert attention from the fundamental social conditions and economic inequalities that truly shape the burden of disease. Global public health, these critics argue, should focus instead on the perennial and chronic afflictions (such as cholera, malaria, and HIV/AIDS) that make up the vast majority of humanity’s disease burden. In this view, resources distributed for surveillance technologies or preparedness training would be better spent on basic health infrastructure, including hospital beds, trained nurses, and personal protective equipment (see, for example, Brown and Fee 2001; Farmer 2001). The Ebola outbreak in West Africa has confirmed that an increasing capacity to detect outbreaks of emerging disease can be all too easily accompanied by the decreasing capacity to do anything about it. As Paul Farmer commented after a recent trip, “Without staff, stuff, space, and systems, nothing can be done” (Farmer 2014). Remarkably, the Metabiota “virus hunter” quoted above who spoke confidently about the importance of rapid pathogen detection (and who has been courageously working to stop the spread of Ebola in Sierra Leone) has recently pointed to the lack of basic public health infrastructure as the primary reason the epidemic remains difficult to control. “The only thing that is going to change the course of this epidemic is actual epidemiology. We need to stop the disease from being transmitted,” he said in a recent interview (Weintraub 2014). But, he added, “just having the vehicles available to go do that, be they motorcycles or trucks, etc., [isn’t a given]” (Weintraub 2014). 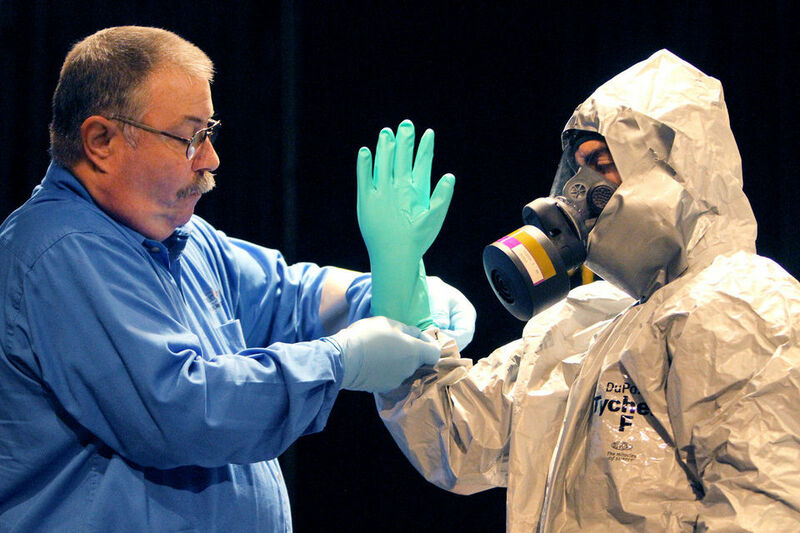 A Camden County, New Jersey HAZMAT Task Force member demonstrates how to put on a Tychem F suit in response to a suspected Ebola patient. 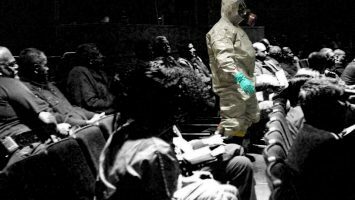 Yet to argue that preparedness for emerging diseases produced the Ebola disaster by diverting funds and attention from public health overlooks how this epidemic event undermines the simple opposition of preparedness to public health. In many ways, the prophets of disease emergence were right: Ebola is a significant threat to human health, and we should have been preparing for it along with chronic, persistent, and already visible problems such as HIV/AIDS, cholera, and malaria. Rather than denouncing disease detection in the name of public health, I propose a more focused critique of the lack of coordination between preparedness initiatives and the infrastructure of everyday public health practice. As I have argued previously regarding “early warning” disease surveillance systems (Fearnley 2008), data collected about diseases or outbreaks are only useful if coordinated with the infrastructural scales of public health response such as hospitals, the jurisdictions of public health authority, and access to vehicles. But when it is so coordinated, disease surveillance for emerging diseases is a pivotal component of public health practice (Fearnley 2008). From this perspective, the “global” preparedness programs for emerging diseases as developed to date by programs such as the U.S. Agency for International Development (USAID’s) “Emerging Pandemic Threats” program or nonprofits such as Metabiota must be critiqued in terms of their scalar logic. According to historian Nicholas King (2004: 66), the prophets of disease emergence believed that “monitoring and intervening need not be bound to the same scale as either cause or consequence [of epidemic diseases]. Addressing ‘global’ risks meant making ecological change legible to laboratory investigation or information processing at multiple locations, often far removed from the specific site of disease outbreaks.” Andrew Lakoff has shown that programs of “global health security,” founded on an ethic of “self-protection,” tend to intervene only sporadically in poorer countries to halt the encroachment of emerging diseases into wealthier countries (Lakoff 2010). The Ebola response has made clear the failure of this vision, both morally and in terms of technical efficacy. This failure lies not in the idea of disease surveillance or preparedness itself, but in the disregard for linking disease surveillance with public health and medical infrastructure, and in the neglect of their coordination at the same scales, locales, and jurisdictions. Such neglect can only end in disaster and, most likely, as in the current crisis, a radically unequal distribution of disaster. What would it take to reimagine preparedness for emerging diseases in a way that also acknowledges, and attempts to ameliorate, global inequality in the access to medical and public health infrastructure? An incipient alternative may already be in formation, an outcome of the controversies about virus sharing and vaccine development during the H5N1 avian influenza outbreak. As is well known, after the emergence of the highly pathogenic H5N1 strain of influenza, the Indonesian government complained that virus samples taken from Indonesian patients and sent to WHO surveillance laboratories were subsequently given, without Indonesia’s permission, to for-profit vaccine companies (Sedyaningsih 2008; compare Fidler 2008). The incident points to a broader mismeasure: since its creation in the 1940s, the WHO flu surveillance network has collected viral samples from developing countries to determine the composition of the annual flu vaccine, but this vaccine was manufactured and distributed almost exclusively for populations in the developed world. Many developing countries do not have the technical or manufacturing capacity to create enough vaccines for their population, nor can they afford to purchase the requisite doses from for-profit pharmaceutical companies (Dehner 2012). Although less obviously catastrophic than the Ebola outbreak, the WHO’s flu sample scandal exposes a similar lack of coordination between disease surveillance and public health response: surveillance information and biological materials go to laboratory centers in Europe or North America, but the source locales— the sites where the epidemics are taking place—do not benefit from that information. Following Indonesia’s year-long campaign, the World Health Assembly ordered the WHO to restructure its surveillance system to ensure that all virus samples are accompanied by a Standard Material Transfer Agreement, which legally binds the receiving laboratory to “grant to WHO a non-exclusive, royalty-free license, which WHO will sub-license to interested developing countries, for the purpose of maximizing availability of critical benefits on a non-profit basis, such as vaccines and anti-virals, for pandemic influenza preparedness purposes” (WHO 2010:8; compare with Gostin and Fidler 2011). More substantial inequalities undoubtedly are at stake in West Africa’s Ebola epidemic. But Indonesia’s response to the virus-sharing dispute articulates a relevant redistributive critique, not by questioning the value of surveillance and preparedness programs altogether, but rather in demanding their coordination with the scales of political authority and public health infrastructure at which epidemiological response is undertaken. Preparedness for emerging diseases can and must include preparing the vaccines, vehicles, and trained staff needed to investigate and control an epidemic when and where new diseases do emerge. On “emerging infections worldview,” see King (2002). The outbreak of Reston virus and its impact is documented in the popular (and influential in policy circles) journalism of Richard Preston’s The Hot Zone (1994). Today known as the Global Influenza Surveillance Network (GISN). Brown, Theodore, and Elizabeth Fee. 2001. “Preemptive Biopreparedness: Can We Learn Anything from History?” American Journal of Public Health, 91(5): 721-726. Brown, Theodore, Elizabeth Fee, and Marcus Cueto. 2005. “The World Health Organization and the Transition from International to Global Public Health.” American Journal of Public Health, 95(1): 62-72. Dehner, George. 2012. Influenza: A Century of Science and Public Health Response Pittsburgh, PA: University of Pittsburgh Press. Farmer, Paul. 2001. Infections and Inequalities: The Modern Plagues. Berkeley: University of California. ———. 2014. “Diary.” London Review of Books, 36(20): 38-39. Fearnley, Lyle. 2008. “Redesigning Syndromic Surveillance for Biosecurity.” In Stephen J. Collier and Andrew Lakoff, Biosecurity Interventions: Global Health and Security in Question, pp. 61-88. New York: Columbia University Press. Fidler, David. 2008. “Influenza Virus samples, International Law, and Global Health Diplomacy.” Emerging Infectious Diseases, 14(1): 88-94. Gostin, Lawrence, and David P. Fidler. 2011. “WHO’s Pandemic Influenza Preparedness Framework: A Milestone in Global Governance for Health.” Journal of the American Medical Association, 306(2): 200-201. Institute of Medicine (IOM). 1992. 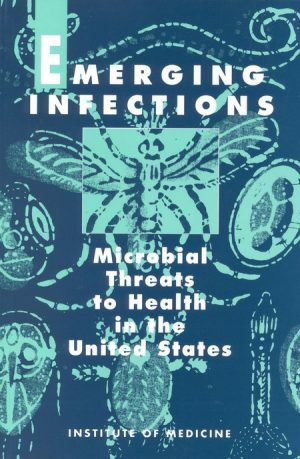 Emerging Infections: Microbial Threats to Health. Washington, DC: National Academies Press. King, Nicholas. 2002. “Security, Disease, Commerce: Ideologies of Postcolonial Global Health.” Social Studies of Science, 32(5): 763-789. ———. 2004. “The Scale Politics of Emerging Diseases.” OSIRIS, 19: 62-76. Knox, Richard. 2012. “Disease Detectives Catchy Deadly African Virus Just as It Emerges.” NPR, September 17. Available at link. Lachenal, Guillaume. 2014. “Chronicle of a Well-Prepared Disaster.” Somatosphere, October 31. Available at link. Lakoff, Andrew. 2010. “Two Regimes of Global Health.” Humanity, 1(1):59-79. Médecins Sans Frontières. 2014. “International Ebola response slow and piecemeal, risks becoming a ‘double failure’, says MSF.” December 2. Available at link. Morse, Stephen. 1990. “Emerging Viruses: The Evolution of Viruses and Viral Diseases.” Journal of Infectious Diseases, 162: 1-7. Nguyen, Vinh-Kim. 2014. “How We Became Unprepared, and What Might Come Next.” Fieldsights—Hot Spots, Cultural Anthropology Online, October 7. Available at link. Sedyaningsih, Endang R., Siti Isfandari, Triono Soendoro, and Siti Fadilah Supari. 2008. “Towards Mutual Trust, Transparency, and Equity in Virus Sharing Mechanism: The Avian Influenza Case of Indonesia.” Annals of the Acadamy of Medicine Singapore, 37: 482-488. Sun, Lena H., Brady Dennis, Lenny Bernstein, and Joel Achenbach. 2014. “How Ebola Sped Out of Control.” The Washington Post, October 4. Available at link. Weintraub, Karen. 2014. “Q&A: American Virus Expert in Africa’s Ebola Zone: ‘This Is Like War’.” National Geographic, August 8. Available at link. World Health Organization (WHO). 2010. Pandemic influenza preparedness: sharing of influenza viruses and access to vaccines and other benefits: Outcome of the Open-Ended Working Group of Member States on Pandemic Influenza Preparedness: sharing of influenza viruses and access to vaccines and other benefits. Report by the Director-General, Sixty-third World Health Assembly, May 14. Available at link.